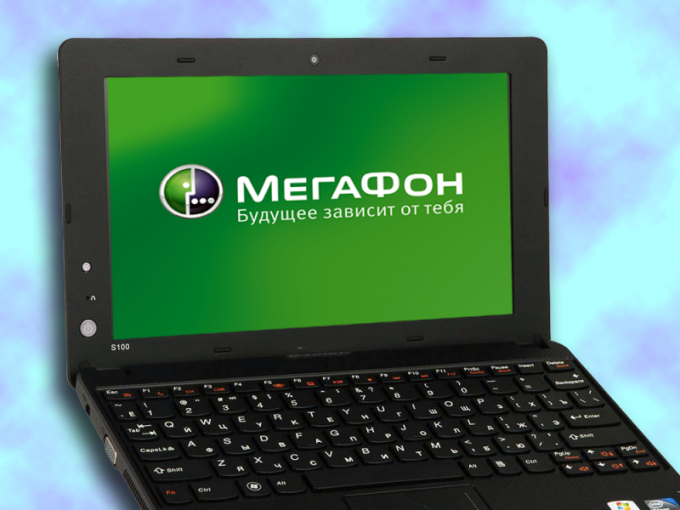 How to go to the personal account of the subscriber of "MegaFon"
The onlineservice of the population gradually even the government. Reasons for a personal visit to the office of the mobile operators have almost gone. For independent management of services by network subscribers "the Megaphone" there is a convenient online tool called "Service Guide". But to use it, you first need to get the password. 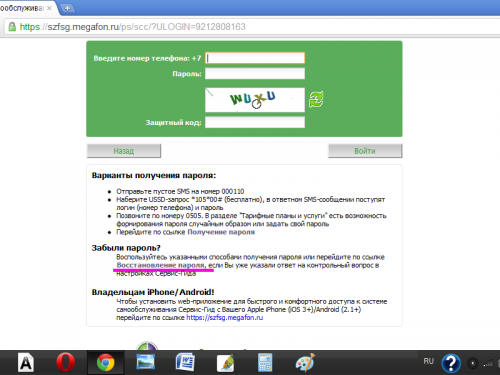 Send from your mobile phone MegaFon empty SMS-message to number 000110. Wait until your request is processed. Your username and password to enter the system will come in reply SMS message. Send from your phone USSD-command *105*00#. Wait for request to be processed. Reply message with your username and password will be sent to you via SMS. Call from your phone MegaFon toll free number 0505. If necessary, activate the on-screen keyboard. Following the voice prompts, navigate to "plans & services". 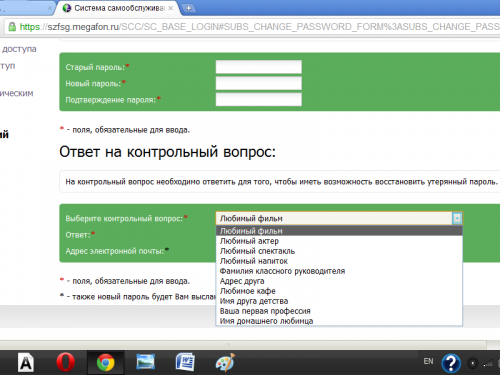 Select "Change of password Service-Guide" - "Generate random password". The answer will come to you in the form of SMS messages. Please note that the room 0505, you can change the password by installing your own, which you will be easier to remember. To set a custom password, you first need to enter the generated for you system. Use the web interface to generate a password. 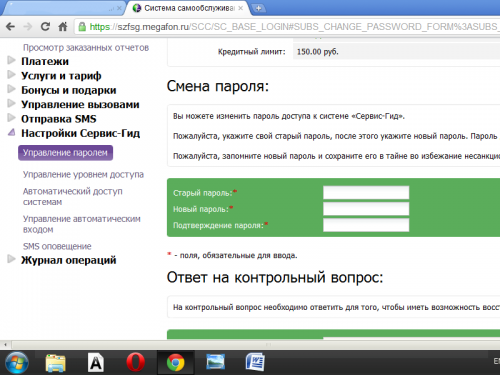 To do this, follow the link on the login page of the system. Enter your phone number in 10-digit format in the designated field. Click on the "Get password". The answer you receive via SMS text message. 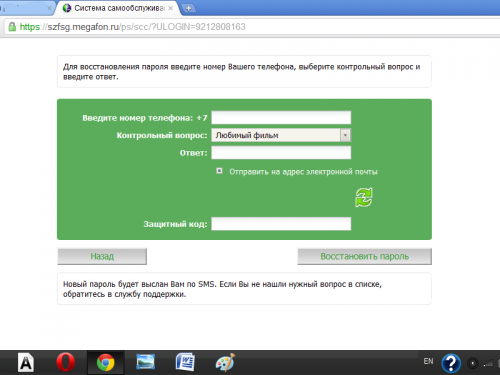 Log in system "Service-Guide" using the SMS the login and password. Navigate to "Settings Service Guide" - "password Management". Set your own permanent password, if you have not done so previously. Click on the "Edit"button. Install in the lower section, a security question and enter the answer. And also write your valid email address. If in the future you forget your password, these settings will allow you to restore it quickly. Save the changes by clicking on the appropriate button. Restore your forgotten password using the web interface. The link that you can go to the system restore, is listed on the sign-in system "Service-Guide"
Enter in this field your phone number and answer the security question. If the answer is correct, password will be sent in SMS and to your specified email address. If able to obtain or recover a password you could not, ask for advice to the operators of the customer service Department by calling 0500.